• Modern Muscle geometry centralizes CG to promote consistent turf interaction in all conditions. • Tour Garnet Blast face is rougher to deliver greater spin on less than full shots. • Aggressive machined X3X grooves deliver maximum USGA-legal spin. • Tour-inspired un-chromed raw finish cuts glare and increases surface roughness to improve control. 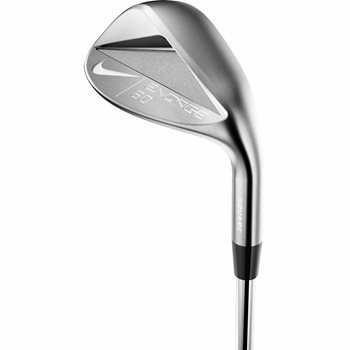 • Square sole, designed primarily to be played with a squared up club face. • Moderate heel relief in the lob wedge and Tiger-inspired leading edge bevel in sand wedge provide versatility.